Informtainment.com by ORLANDO: How to set up your online Authority? How to set up your online Authority? There are few Caribbean artistes/companies/brands who understand the concept of Authority. 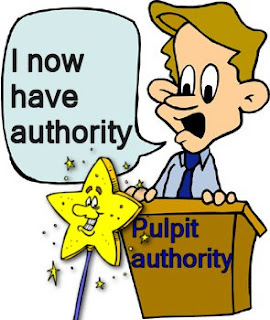 An Authority is described by Webster as , " a citation (as from a book or file) used in defense or support/ the source from which the citation is drawn" . I recently wrote about Twitter verified accounts as an example of this. When setting up online authority, the information has to be in one place; this is important for verification. As a result, If media companies or press release engines want to get direct communication with public figures, they will have to know exactly who to contact. This is inefficient and creates two many sources. If you are a Caribbean DJ, athlete, artiste, brand, etc. ; it is important to create a online authority in these simple steps. Youtube, facebook, twitter, myspace. Through these platforms you can release information. Information released once, appears in multiple places on the web. Sharing is caring!! 2. Have all your social media tags on your website. Examples of this can be seen at Mr. Vegas & Mista Vybe's website. This is important because you control the source and information can be filtered out directly. If you pay close attention, many artistes do not own the generic domain names of their companies. For example, KevinLyttle.com website/domain indicates that he was early and had branding in mind. When you think Branding, you want a consistent image online, as it is offline. People who connect with you are there for a reason. They maybe fans, media companies, niche bloggers, etc. They want to know what you have to say. They all want the inside scoop. 5. Can we have a statement? Without an authority, chaos can be created. With authority people have a source they can trust. I recently came across a blog claiming to be Mr. Vegas. It is difficult to tell if this blog belongs to Mr. Vegas. I knew exactly where to go and get a direct answer. I went to Mr. Vegas Website. Usain Bolt's website is an example of how a first rate athlete is not using his website as an online authority. It is difficult to tell if Usain's twitter account is his. It is not on his website, therefore, leaving many to questions it's authority or authenticity.